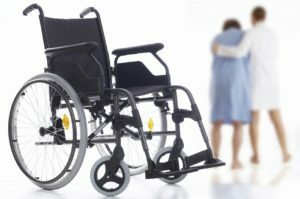 Nursing Home Neglect Lawyer Miami: Our loved ones need good care and for the ones who cannot take adequate care of themselves, nursing homes come in. Nursing homes are trusted with the task of giving them the best of care possible. Unfortunately, in certain instances nursing homes fail to live up to expectations. Some nursing homes neglect your loved ones or even worse, abuse them. What happens then? More than 2 million cases of nursing home neglect and abuse are reported yearly. Experts however believe that for every reported case, about five other cases are not reported. This is a very sad development as our loved ones that we put in the care of these nursing homes are treated with less respect and dignity that they deserve but with the way things are, some nursing homes actually do not do what is expected of them and nothing is done about it. There are about a hundred nursing homes and assisted-care facilities in Miami, Florida and being honest, some of these nursing homes are guilty of neglecting their patients. There are different forms of neglect which we should be acquainted with so they can be reported once noticed. Types of neglect include unsanitary living conditions, not administering medications, dehydration, food denial. Also, some neglects are emotional such as when the person to be cared for is left alone, ignored or separated in treatment from his or her peers. Fall Injuries that can be prevented. Although there are many nursing homes with excellent facilities but the problem of nursing home neglect is most rampant in these nursing homes with great facilities while they hide the terrible conditions residents are living in from their family members. HOW DO YOU HANLE YOUR LOVED ONE BEING A VICTIM OF NURSING HOME NEGLECT? If you are suspecting that your loved one is being subjected to nursing home neglect in a Miami, Florida nursing home facility, it is paramount that you do not keep this to yourself. You represent your loved one and you should try and have a talk with the director of the facility. However, if you think you need more force, there is a Nursing Home Neglect Lawyer Miami who focus on neglect of those who need care. You should as well talk to a nursing home neglect lawyer. A Nursing Home Neglect Lawyer Miami will take up the case and make the people or nursing home facility responsible for putting your loved one in discomfort pay for it. Nobody deserves not getting the care they ought to be getting and as such should be treated with firm hands should that happen to anybody.